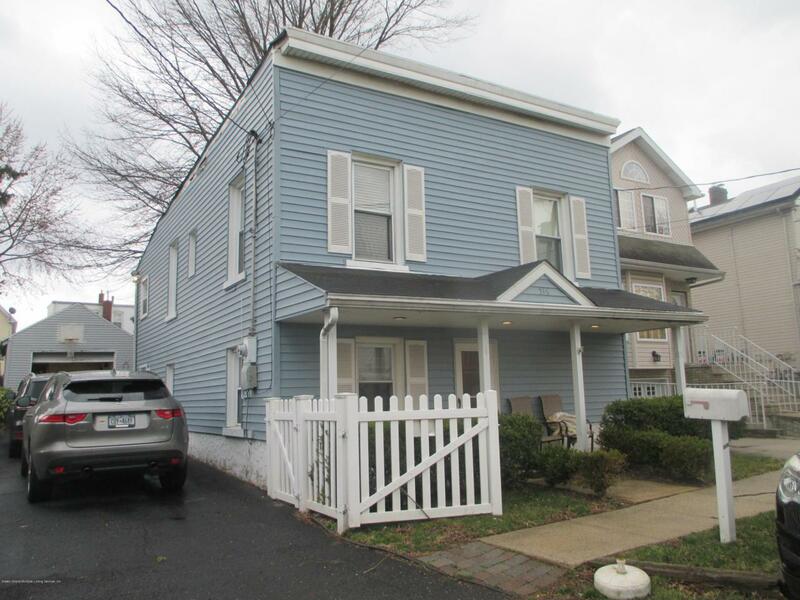 BORDERING WESTERLEIGH & GRANITEVILLE - NICE QUIET TUCKED AWAY LOCATION OFFERS THIS 1 FAMILY DETACHED CHARMING COLONIAL ON LARGE 60' X 112.5' LOT WITH 1 CAR DETACHED GARAGE. UNIQUE LAYOUT WITH LARGE 1ST FLOOR LIVING ROOM, 1/2 BATH & LAUNDRY/MECHANICAL AREA. 2ND FLOOR OFFERS A LARGE EAT-IN KITCHEN WITH SLIDERS TO DECK & HUGE PARK-LIKE YARD WITH HOT TUB AND DETACHED GARAGE. DINING ROOM, LARGE FULL BATH WITH JACUZZI, 2 BEDROOMS THAT HAVE BEEN CONVERTED 1 LARGE MASTER BEDROOM WITH WALK-IN CLOSET. 2 ZONE GAS BASEBOARD HOT WATER HEAT. CHARMING OPEN FRONT PORCH. SUPER CONVENIENT TO LOCAL/NYC TRANSPORTATION & SI EXPRESSWAY.